Liam: Hi, Chloe. It's good to see you again. Chloe: Hi, Liam, it’s been ages. Come on in. I’ll fix you something to drink. Liam: What? Oliver is alive? You wrote on Facebook that he died, didn’t you? Chloe: He did. This is his clone. Chloe: I'm just joking. I adopted him from an animal shelter last week. Liam: I thought Oliver had returned from the grave. He looks exactly the same. Chloe: Yes, I was amazed when I found him. And that's why I adopted him. We searched all over for a cat that looks like poor Oliver. Come here, Oliver. Drink some more milk. Liam: Are you calling him Oliver, too? I don’t believe this. Chloe: Actually we haven’t decided on his name yet, but I feel inclined to call him Oliver. I just can’t help it. I don’t see what’s wrong with that. You can’t imagine how sad we were when Oliver died. He had been a member of our family for fifteen years. After he died, my mother was so depressed she stayed in bed crying for two days. I’m not completely over his death yet myself, but after we found the new Oliver, we began to feel a little better. If we hadn't found him, we might have had Oliver cloned. We saved some of his cells in case we decided to. Liam: No way! That sounds creepy. You aren’t serious, are you? Chloe: I know it would have cost a fortune, and I hear it’s still technically very difficult. Anyway, we're not going to do it. Still I have nothing against cloning a beloved companion animal if it can help heal its owner’s grief. Liam: Well, I love my dog just as much as you loved your cat, but I’d never have Max cloned. I’d never even think about it even if it was free, and I knew he was about to die. Chloe: If you don’t like the idea, you don’t have to do it. But I think you should respect people who do want to. Liam: I think they’d be better off giving up such a stupid idea. They should understand that they could never get their beloved pet back by cloning. The cloned animal they’d get wouldn’t be a carbon copy of the one they loved. It wouldn’t have any memories of them. It would be impossible to give it exactly the same experiences that the original had, so it would develop a different personality. It might even have different colored fur or a different pattern because genes don’t determine all the details of the body. It might be genetically identical, but that's all. It would definitely be a completely different individual. Chloe: Thanks for the lecture, but do you really think I don’t know all that? I’m not that stupid. Yes, it would be genetically the same. In other words, it’s an identical twin. What's so wrong with adopting a cloned twin after the other twin dies? Liam: Well, that seems very different to me. For example, there's no stopping with artificial cloning. What if the cloned cat you got were deformed, or very sick at birth? Would you just kill it and try again? Or what if the clone died? Would you try to have the clone re-cloned? 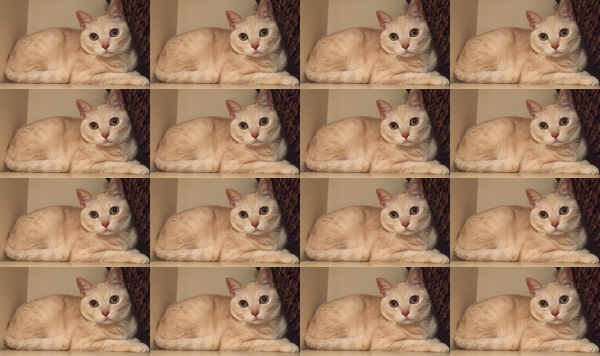 Wouldn't it be insane to spend all that money to keep cloning the same cat over and over? Just imagine what would happen if we did the same thing with human beings. Rather than wasting money on cloning, people should adopt abandoned animals before they are put to sleep and donate the money to save other animals in need. Chloe: Well, of course there should be some regulations on pet cloning, and there should be a line between humans and other animals. Liam: There’s another thing. A cloned pet is a replacement for the original pet, right? In other words, the original pet isn't irreplaceable. If it can be replaced, that means it isn't such a special thing after all, doesn't it? Chloe: Well, I understand what you are saying, but if you were to lose Max, I think you might change your mind. Who knows?